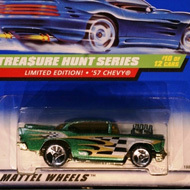 11/12 from the 1998 Treasure Hunt series. 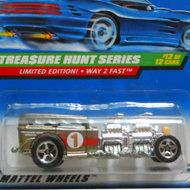 The silver Corvette boasts black and white checkered graphics on the sides, black stripes and flags on the hood, and a black Hot Wheels logo on the doors. 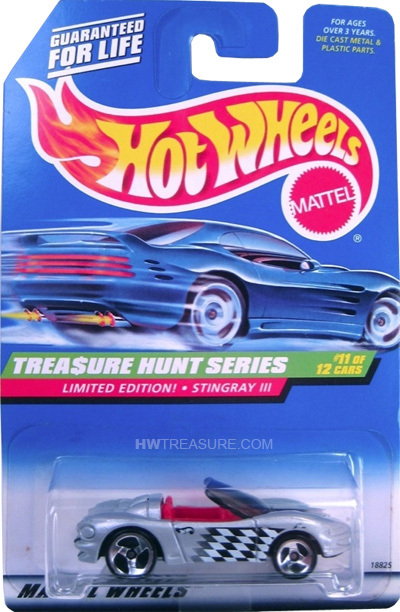 It has a tinted windshield, red interior, 3-spoke wheels, and a black Malaysia base.